Ariana Grande has shared an image of her recent brain scan on social media to highlight the impact of post-traumatic stress disorder (PTSD). 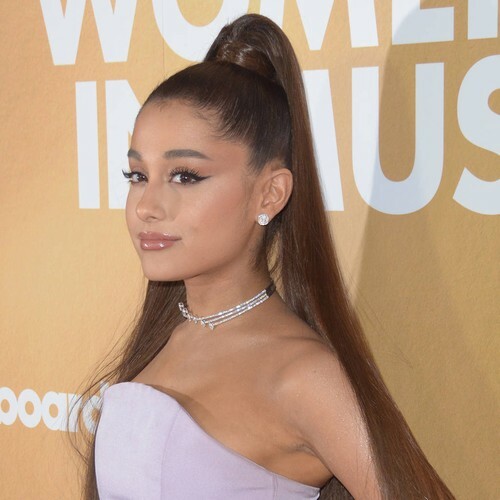 While the incident briefly interrupted her Dangerous Woman Tour, the star quickly returned to the stage and has since used her profile to raise awareness about mental health issues. Taking to Instagram Stories on Thursday (11Apr19), the 25-year-old candidly posted scans of a “healthy brain” alongside a brain suffering from PTSD. The 7 Rings songstress first revealed her battle with the illness a year after the event, when she admitted during an interview with British Vogue that she was still struggling to comprehend what had happened. The superstar also took to her Instagram Stories over the weekend (06-07Apr) to share a series of uplifting clips, in which she urged fans to take time out for themselves. "I just wanted to say hi and remind you guys to protect your peace and your energy and to not forget to take care of yourselves and protect your space," she said, speaking directly to the camera. "Make sure that you don't run yourself to the ground (and) exhaust yourself."